Hello everyone, My name is Jeff Rider and I have the opportunity as a Independent Driver/Influencer on the TRYP Rides platform. In December, TRYP Rides, Inc. began applying for Rideshare Operations in the United States, all 50 States and a month later is now ready to go LIVE in the following States: Hawaii (Honolulu), Oregon (Portland, Salem), Arizona (Phoenix, Tucson), Idaho (Boise, Nampa), New Mexico (Santa fe, Albuquerque) , Utah (Salt Lake, Ogden, Provo, Park City, Sandy), Ohio (Columbus, Cincinnati, Dayton, Athens, Cleveland, Toledo, Akron) with Florida (Miami, Orlando, Tampa, Fort Lauderdale, Palm Beach, Fort Meyers, Sarasota, Naples, Tallahassee and other States with cities in the following months. To get a State, City and Area going ... we need Drivers & Riders from all over the USA and International. You earn reward points for sharing your invite code to Friends, Family and Co-Workers when they do a TRYP Ride for the life of the account! Sharing will earn you free rides! TRYP (a new ridershare company) promising $500K a month? Should you make out with someone in the backseat of the Uber? Will I get a lower rating? Is it impolite not to make small talk with your driver? $200 /mo and we don't even have information on actual ridership in our cities? What happens if we buy in, but only get 2 pings a day/10 pings a week/40 pings a month? Our average per ride would need to be pretty high, AND we'd also have to pay for merchant services/credit card processing? Do we pay our monthly fee upfront, or are we billed periodically? Who determines rates? Most annoying is that Tryp hasn't learned from Uber and Lyft's mistakes, and has chosen to adopt the same failed driver rating system used by other rideshare companies. Allowing revenge ratings doesn't help anyone, especially without details on specific problems, and all it does is build animosity and hatred between drivers and passengers. Animosity doesn't build a successful business, and ratings only work on EMPLOYEES that can be forced to do what you want. $199 fee is to use the app and be introduced to a requesting Rider, your merchant account is covered in that fee, so when you get paid it's the amount from the billed ride you have given. The first 8 months, will be like it was when Lyft and Uber started … TRYP will be marketing and doing Press to get the word out and people will be testing and trying to see if the rates and drivers are any better. Rates will be that of the 2 other apps but just below to compete and offer something better like current riders do with Lyft vs. Uber rates at time of request. This is a start up with that Drivers have wanted all along … that people think this is going to be better than Uber and Lyft from the start are lost in their own evils of not working another type of job. I'm not sure what the check and balance will be on ratings and Driver/Rider opinions ... the app has not been out in the open for review, it's being tested by a group of drivers and riders in an area that is real time rideshare requests. Give this an oppertuniy to grow and become what the 2 founders have set fourth in starting this .. to make Drivers run their own business and not by the other 2 apps currently in play. Momof 4 seems like this company is a scam. I see they answered other persons post but when you asked all these questions he didn't answer you. I wouldn't believe this company if i were you. Asking to put out 200.00 how many riders will even request a ride? You could wait for hours not get one damn ride. First just want to clarify I am a "she" a female. Of course I have many questions. Wouldn't you have many questions if you seen a new business they you may be interested in? The company is asking for 200.00 so of course there will be questions. Do you expect people to see your initial post and just hand over money no questions asked? I would hope you wouldnt want stupid people driving for your company because anyone who would sign up & not ask questions is naive or just plain stupid. You have enough negativity floating around out there. I would hope if you are trying to start a new business that you would want to convince people you are a legitimate company that will be successful. BTW are you a driver who signed up with TRYP & are trying to sign other drivers up for your bonus? Or are you someone who works for the company and is capable of answering these questions? I think you need to wait and learn from the website as you may have done on UBER and Lyft's website to decide what you want to do. To pay $199 after 30 days of using an app that makes you 100% of the Fare and Tips is a no brainer to what you pay per drive to the other Rideshare companies in that 30 day period. As for your other questions, the same answer above ... you'll need to wait and learn for yourself. Others have paid the Driver set up fees and await the launch of the app. knowing it's not refundable but they're wanting to make 100% of the Ride fare and Tips. People have opinions and options and its a person to person choice. Uber snd Lyft were free so there wasnt much to lose but possibly some time and gas. It would be a no brainer if we knew we were going to get enough fares, if you were more honest and transparent than Uber and Lyft. There is no guarantee that people will use TRYP and the market is flooded with drivers now. You seem to be getting annoyed when questions are being asked. Why wouldnt people ask questions? Your new. 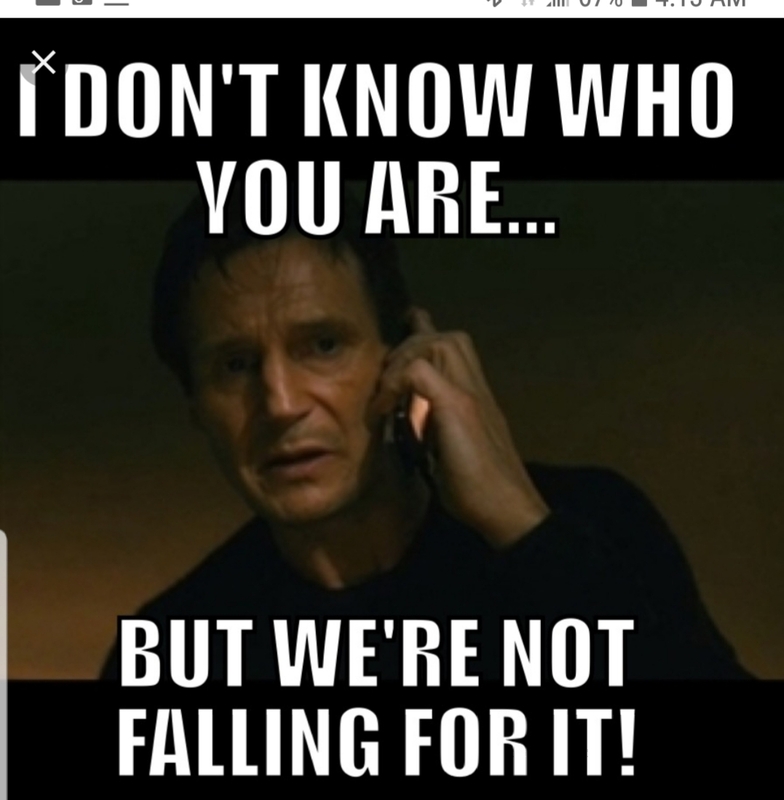 We dont know you or anyone else in the company. Cant find much on the internet other than negative feedback. If I go on a job interview tomorrow with an old reputable company thats well known I would ask questions. What do you expect, you and a few others post on ride share website to pay you 200.00 and everyone will flock to it and not ask questions? Again if you hire drivers that hand over money and dont ask questions I find that to be a problem. It's just stupidity. I am selling the Brooklyn Bridge and some swamp land in Florida maybe I should approach these drivers. I just went back and read your original post. It's all clear now. You are a driver that handed over money to TRYP and now you want other drivers to hand over their money so you can collect the referral bonus. That explains why you are getting annoyed with my questions because you dont know the answers. All you know is what they told you which obviously isnt much. I know 100% of the fare + tips, a no brainer. I apologize for assuming you were more involved in the company and could answer my questions. BTW what about thst bridge and some swamp land? If you are going to post on a ride share website intelligent people will have questions and will.wamt answers especially when they are pulling money out of their pocket. Maybe you dont need answers and trust everyone. I dont. You ever hear the saying "if it sounds to good to be true it probably is". If I am wrong I'll be the first to apologize. I posted on this site to give information to anyone interested in Riding or Driving for TRYP. I do not have all the answers up front, but from the facts given they will offer a 3rd option, competition and maybe better. When UBER and Lyft started no one knew how things would turn out and they gave it chance(s). However people seem to have made the answer to their questions before they truly can be answered in a working option. You (momof4) seem to spend a lot of time on this website (71 posts) (471 comments), making very long opinions to questions you would like to hear but give your answer within it - with out opportunity to work in practice. You made your comment, your well wishes etc. and yet you continue to spite with out yourself giving it a try. As I had said above ... sign up as a Rider and wait to see if you want to Drive. Commission is not the purpose here for me, it's to change the game towards UBER and take away what they have taken from Riders and Drivers in Greed and Lost in mismanagement or overspending hard earned money. Opinion your concerns, give your options and ideas and please wait to judge before a chance is given to this. I assumed (my fault) that you were from TRYP. I didnt realize you were a driver just trying to sign other drivers up (again my fault). Before I hand over any money to anyone I need my questions answered. I cannot even comprehend why anyone would not ask questions and research a business, business opportunity before getting involved with it and giving them your money. Again I'll reoeat, You cannot possibly expect people to hand over money no questions asked. Thats just stupidity. Anyone with any business sense would tell you that. Every piece of info I found on the internet is negative feedback on TRYP and the man who founded it. Uber and Lyft didnt cost a dime to try it out. There was also info all over the web, tv, billboards, magazines, etc... If you had questions you could look it up. I have tried to get info on TRYP there really isnt any at all. This is the only thing we know, pay 200.00 keep 100% of fare + tips. Thats it. Nothing else. I simply wanted info about TRYP so I could make an informed intelligent decision based on facts. You answered what you could but seemed to be annoyed that I was asking questions. Then started using terms "its a no brainer" . If I had facts and more info it may be a "no brainer". I am not the idiot for asking questions before I spend 200.00. Then you comment on how much time i spend on here, how many post WTH does that have to do with anything? Again I post things I find relevant to ride share, questions people may want answered, etc. From the responses I've seen all over the internet in forums, articles, you tube no one trusts TRYP or ots founders. I was asking questions in hopes of getting answers to help out other drivers. Instead you got annoyed, you insinuated I was an idiot with your "no brainer comment", told me to go look up info for myself, you then comment on how much time I spend on here and me throwing answers or opinions out there. It's a forum. Kind of the point of a forum, where issues, views and ideas can be exchanged. People can comment or choose not to. People can also choose not to read peoples posts and comments. I am through with this topic. I am now wasting my time on something that doesnt concern me at this time. My opinion wont change. I'll keep my money until there is info out there and proof they have more riders than Uber and Lyft. Since this is a forum and I want to add to the number of posts I have put up here, I have an idea for you. As an "influencer" trying to sign up other drivers (i would assume you are getting a referral bonus) you may want to go about it in a nicer way. Instead of being annoyed, rude and then telling me to look it up myself you may want to try a different approach. I can tell you drivers are skeptical all ready. After reading your post it definately wont make them feel any better. BTW TRYP will have to undercut both Uber and Lyft to get riders to switch say maybe 20/25% so that fare you are keeping is still going to be less 20/25%. Rates have not yet been determined until Markets go Live and area rates by the other Rideshare Companies are looked at. New Drivers, Uber and Lyft Drivers will have the chance to Drive for TRYP if they pass all required application steps. Background checks will be done by an Independent source that is approved by all States TRYP is permitted to drive in. Fingerprinting is not a requirement by the US Government or State agencies, Civil Rights are argued for privacy reasons. Policy on Driver and Rider disputes are not available at this time to disclose. Customer Service will be provided at the TRYP Offices in California, no policy yet on how online and phone will be done. Airport approval is a site to site deal, it's not universal ... so if an Airport only allows certain transport companies, TRYP will comply. Marketing and Advertising is not set until the approved markets have a Driver sign up quota to launch. Overall, TRYP is a Tech Software business it will provide the introduction to Rider and Driver, It is up to each individual to make their ride enjoyable and safe ... Uber, Lyft and any other Rideshare has a set of standards it would like each Independent contractor to follow. Your expectations of TRYP being better will be on a person to person level and if you like the Drivers overall service, you will be able to request them if the Driver is on a by demand and scheduled setup for themselves. Riders use Uber and Lyft to see who at that time will have a better rate at time of request (shopping for a deal) because the Drivers are random ... the experience is not always 100% great. Drivers use both apps to wait for the first come first served ping to make money. TRYP will be an alternative for both Rider and Driver to use. Like Cell phone providers, who offers the best service, phones, price and coverage ... You will have another choice as a Rider, and as a Driver you will have another Ping opportunity and at a faster serve rate than being with just one rideshare app. - I think this covers all of your questions ... ? Just because something isnt required doesnt mean it shouldnt be done. I agree 100% that it would be great if riders would be vetted. Yes its not practical, understood. Yes I did read about the woman and her baby being murdered. Thread posted on forum. Absolutely a horrendous act of violence. I still think asking drivers for money up front from a new company is risky for the driver. Yes any new business can be risky and yes sometimes you need to take risk. Again this sounds great but there is a lot of negative comments floating out there about these being a scheme. Many drivers are obviously cautious as they should be. If this is going to be so great why charge drivers from day one? Why not allow 1st month or 2 be a lower fee of free? If driver makes decent money fee can be paid at the end of 1st month or 2? If driver doesnt make 200.00 in first month or 2 (not enough rides offered) the money is made up by TRYP? If this works many drivers may start signing up. I think drivers need to see this actually working before they part with 200.00. As for now drivers need to be cautious as 200.00 isnt much if you are making money with TRYP but a lot to hand over not knowing if this will work. This may not seem like a lot of money to the company but for people living paycheck to paycheck it is. This is a great idea that I am sure most drivers would go for once there is proof that there is money to be made (riders willing to switch). Better rates for riders will mean lower fares for drivers. Fares are too low as it is for the driver. I still have to ask about the ratings? Is TRYP going to use same rating system? If not how will your rating system work? Uber and Lyft rating system has done nothing but cause animosity between driver & passenger as red ANT stated. Just not good for business. Tolls, is rider paying them? What about long pick ups? If we are traveling more than 10 min for example will rider be charged a fee? Is TRYP going to do anything about short rides? Even making 5.00 for these short rides we travel 10 min to are not worth it. What about customer services? Can we get a real person we can understand? Will they answer our question or issue with a reasonable answer or just with generic answers that may or may not help? If its too time consuming and too many questions this should cover the rest of my questions. I am sure your company knows the problems with Uber and Lyft that the drivers have. What I am asking is will TRYP improve on these issues? Or is it same as Uber & Lyft business model with the exception driver makes 100% of fare and driver pays fee? Is TRYP going to improve on some or most of drivers ussues or not at all. Although the fate thing if works will be great there are still many areas that need improvement. Best of luck. Looking forward to seeing how this plays out. Hopefully it is a better alternative than driving for other ride share. Again great idea and great opportunity just too much too risk at this time. Thank you for taking the time to answer my questions. See my reply below, and my mistake that I didn't click on your name to view your profile - I Apologize for that. Is this for real? How come I cant request a ride? TRYP is not active in any market at this time. www.dispatcheddriver.com will allow you to sign up as a Rider and get information of launch in your area. 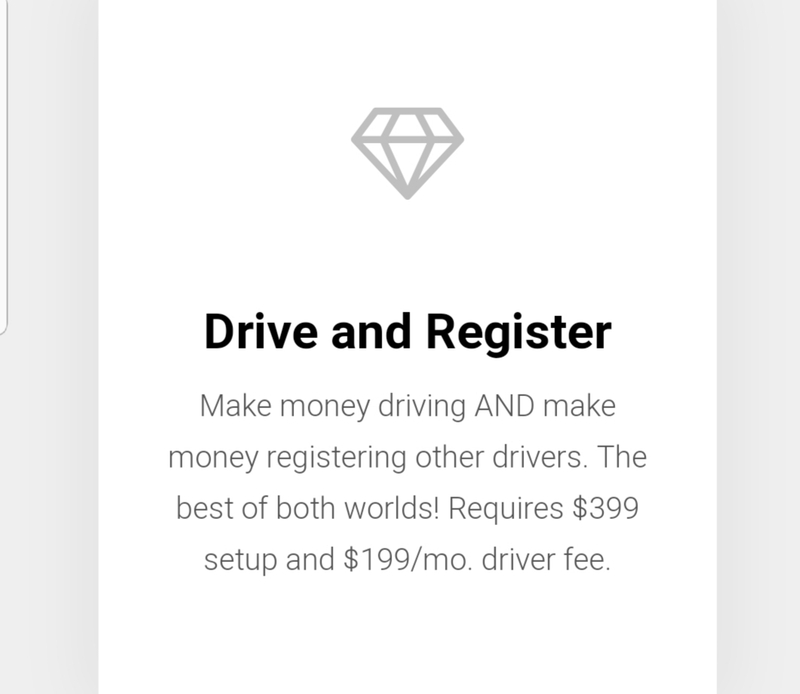 If you want to be a Driver you can sign up as a Rider and then upgrade to Driver once area is LIVE and in need of Drivers. If you pay the fee today for on boarding as a Driver, it is not yet known when a market with go LIVE. And even though your money will be held and ready for that time, I would wait and have that money available to you now for other things. I have to report my findings on TRYP. TRYP is a scam. It is a thinly veiled M(ulti)L(evel)M(arketing) and as is the case with all MLMs, no one except the organizers will make any money. TRYP promises the moon. Most importantly to driver, 100% of fares. No app, no riders, no company. Sure, I'm gonna hand over $200 a month to a ghost on a promise. NOT! This guy "DispatchedDriver" is an Influencer. In this MLM scam they have the "Independent Driver" (an actual driver) and "Influencers" (people who have nothing to do with Ride Share - but want to get in on this scam by influencing people to participate). Steer clear of this one friends. If it looks like a skunk, walks like a skunk and smells like a skunk...wait for it...it probably IS a skunk!! I know this scam stinks! Wait you have to pay $200 to drive for this company? That seems quite backwards.